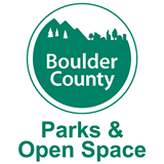 Description: Colorado Partners in Amphibian and Reptile Conservation will conduct an amphibian and reptile BioBlitz of a previously unsurveyed property on Jeffco Open Space. Survey methodology will include walking and looking around important microhabitats at rock outcrops, under rocks and logs, and at the edges of water. Animals be photographed in situ or gently captured by hand and logged into a smartphone app. Following data collection, specimens will be released at point of capture. A species list for the property will be generated from our findings.  Description: Come join COPARC for an annual favorite. 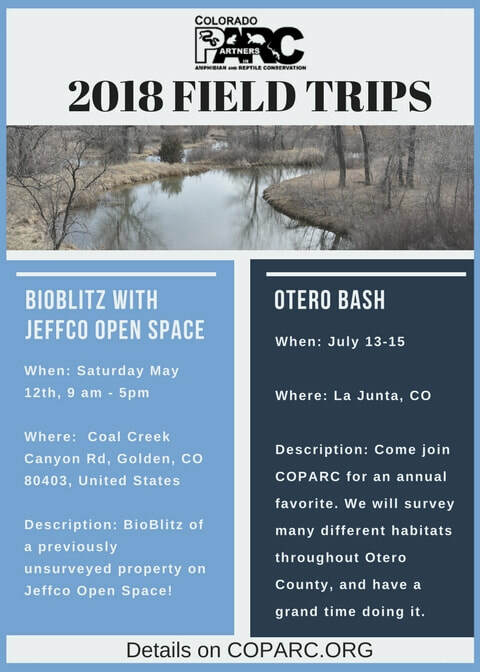 We will survey many different habitats throughout Otero County, and have a grand time doing it. Details to come! 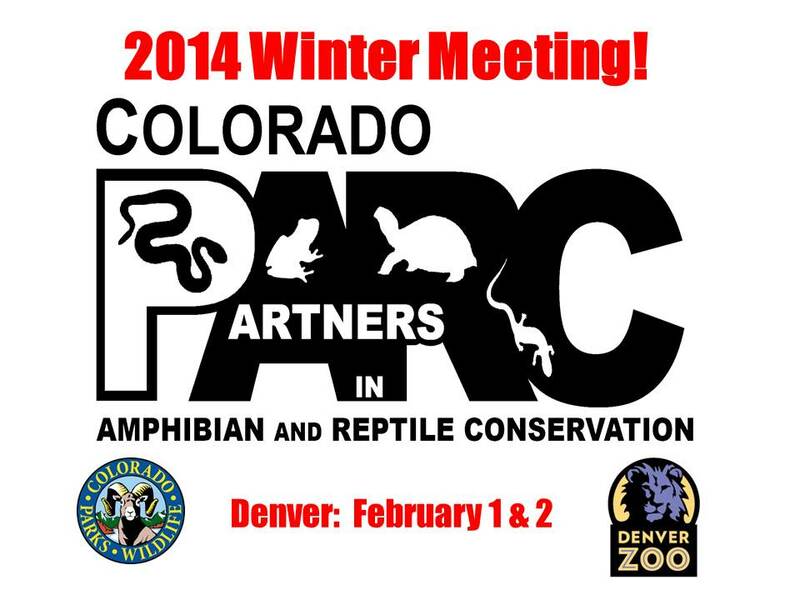 Description: ​Come join COPARC for an exciting survey along the Arkansas River! This part of the state holds many interesting species, including yellow mud turtles and eastern hognose snakes. The campground in Holly will be our base camp, and there are hotels in town for those so inclined. Join us for science and fun! Check out Facebook for Trip Updates!